The Huawei‘s Nova series of smartphones has always been inclined towards the budget segment up till now but now, breaking the tradition, its the first time that the company has packed flagship grade specifications with the Huawei Nova 3 that is recently launched in India on July 26. The Huawei Nova 3 was first unveiled in China on July 18 and later made it’s arrival to India along with its sibling i.e. the Nova 3i. The device is priced at Rs. 34,999 which is even higher than the Honor 10. It will be sold exclusively on Amazon in Twilight and Black colour options, starting from August 23. 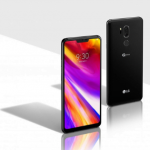 The device is pitted against the OnePlus 6, the Asus Zenfone 5Z, the recently launched LG G7+ ThinQ and the upcoming Mi 8. Additionally, the similarities in pricing will surely affect the sales of the Honor 10 from its sub-brand Honor. Let us have a look at some of the Huawei Nova 3 Features and Specifications. The Huawei Nova 3 comes with a Notched display and a glass body with rounded corners and an aluminium frame. The gradient blue-purple finish from top to bottom at the back makes it look very appealing and eye catchy. Compared to the cheaper Nova 3i, there is not much difference in terms of overall design and form factor. The device sports a 6.3-inches IPS LCD display with a resolution of Full-HD+ (1080 x 2340 pixels). It comes in an aspect ratio of 19:5:9 due to the notch and a pixel density of 409ppi. Moreover, the device bears a screen to body ratio is 84.2%. 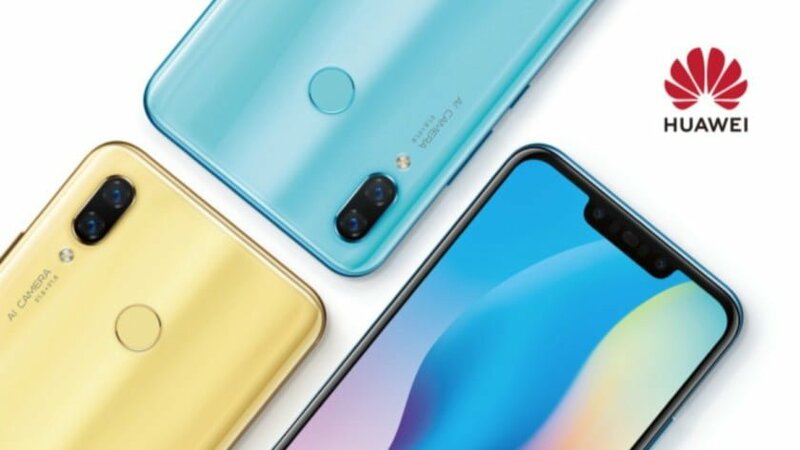 Under the hood, the Huawei Nova 3 runs on the flagship HiSilicon Kirin 970 SoC coupled with Mali-G72 MP12 GPU and a dedicated NPU. It packs 6GB of RAM and 128GB of onboard storage which can be expanded further up to 256GB via a microSD Card. Whatever you throw at it, the phone will handle everything flawlessly, be it handling graphics intensive games or heavy multi-tasking. In the optics department, the phone features a 16-megapixel primary shooter paired with a 24-megapixel monochrome shooter at the back. Both the lenses have an aperture of f/1.8 and PDAF (Phase Detection Auto Focus). Whereas, at the front, we have another dual camera setup consisting of a 24-megapixel shooter with f/2.0 aperture along with a 2-megapixel depth sensor. The camera app is equipped with nifty AI features like the smart scene detection and portrait mode. For unlocking the device, we have an IR based Facial Recognition system (similar to Apple’s FaceID) housed by the Notch in addition to the Fingerprint scanner at the back. On the software front, it runs on Huawei’s own custom EMUI 8.2 skin on top of Android 8.1 Oreo. All this is backed by a 3750mAh Battery which will easily get you through a day or more on a single charge. The device also supports Huawei’s 18W Quick Charging technology. Connectivity options including 4G VoLTE, Wifi, Bluetooth, GPS, 3.5mm Audio Jack, MicroUSB 2.0 and a USB Type C connector are present on board. You can check the detailed Huawei Nova 3 specifications below. While the P20 Pro has Dolby Atmos, this smartphone doesn't. We would have liked it here. Otherwise, no cons. Jio Phone 2 Full Specifications: How to Register and Buy?